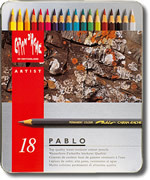 The Caran D'Ache Pablo range is a high quality artists' pencil that is water resistant and has high lightfastness and excellent luminance. 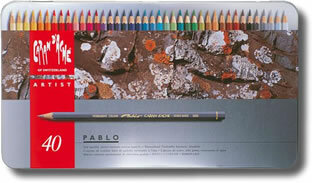 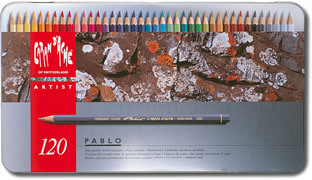 Pablo pencils have a wide range of 120 colours and they can be combined with many other types of pencil to create interesting and beautiful effects. 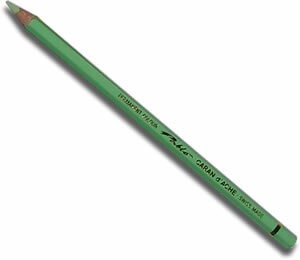 It is especially good to use in conjunction with Caran D'Ache Supracolor, which is a water soluble pencil, as the two ranges are perfectly colour matched. 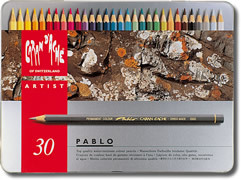 The whole Pablo range in a tin!